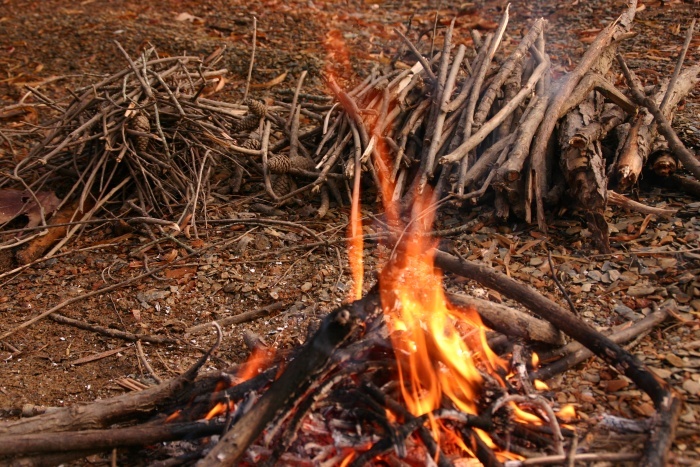 You can have a fire with wet wood - even right after a rain. But you'll have to give it a lot of effort. You'll need some dry paper or cardboard items to start it. (OK, so it's not purist.) You also need something to fan the fire with after it starts. A paper plate is ideal. Put the wads of paper or cardboard down first and place some tiny twigs on top. Tiny grass reed pieces are also good, as well as small pine twigs. The ones with pine needle bunches are the best of all. The first attempt probably will do nothing but dry out the kindling. So if it goes out, push the kindling aside, lay down some more paper wads, and re-light. 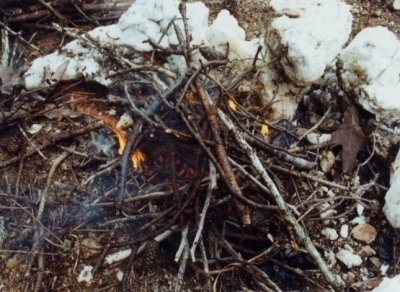 After the kindling ignites, carefully - and constantly - put tiny pieces on top. (This is Stage One wood.) 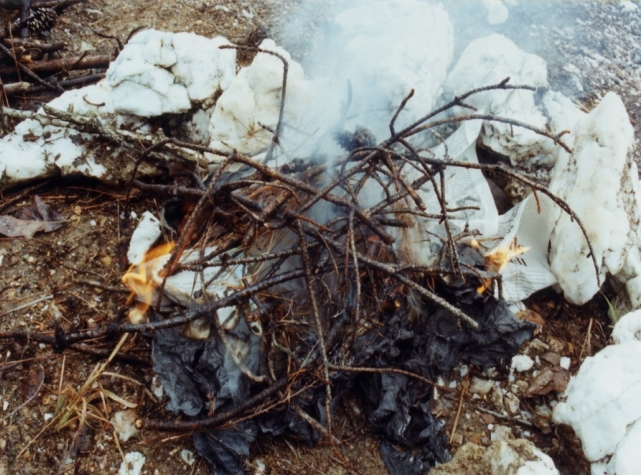 Stack them up into a teepee, adding more as the pieces dry out and ignite. So what do I mean by that? Well, I would say that fires are lit in three stages, and there has to be a careful transistion between the three stages - you can't rush these transistions - the next stage will not light. Stage One wood is small twigs about 1/4" in diameter, with Stage Two wood being about 1/2" in diameter, and finally Stage Three wood, which is 1" or larger. 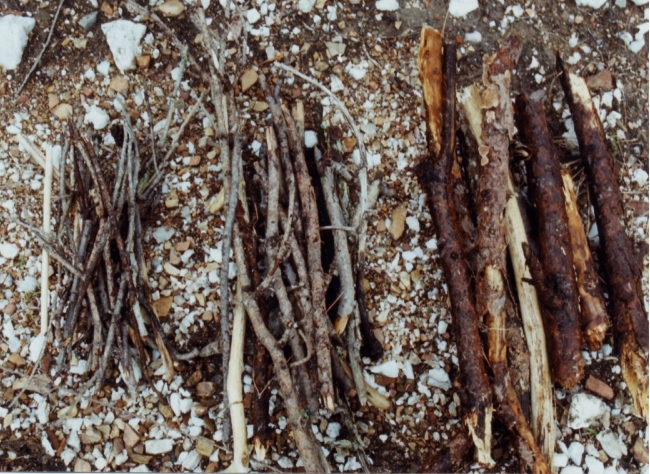 So, only after you have a good pile of steadily-burning twigs can you make the first transition. Start to add pieces about 1/2" in diameter. It will take some occasional fanning from time to time as well. 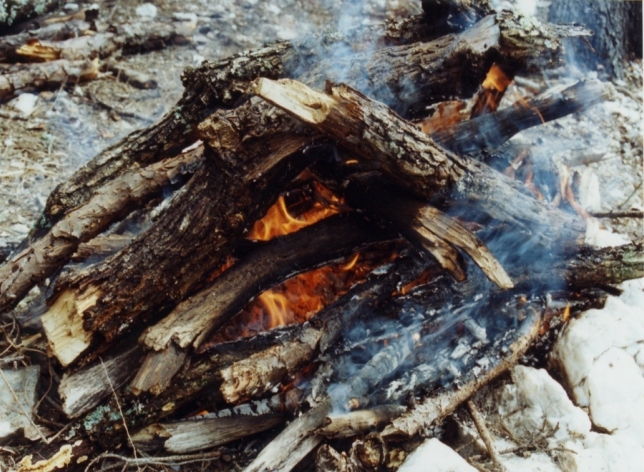 This dramatically raises the temperature of the fire's core. The second stage is fully under way. 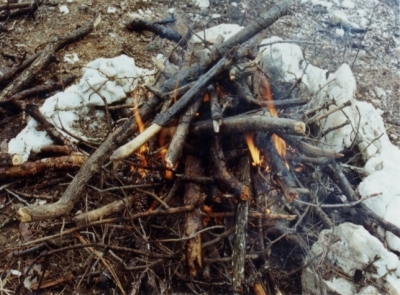 Soon you will have a roaring fire that is self-sustaining. All it asks is that you put wood on more often than you normally would, so the new wood can dry out while the fire is still hot.